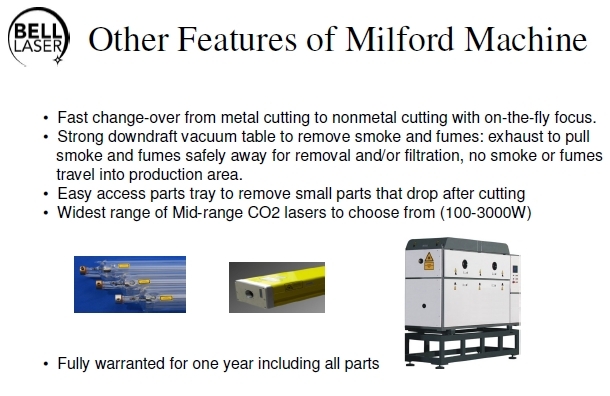 Open table laser machines provide easy access for material loading and unloading. 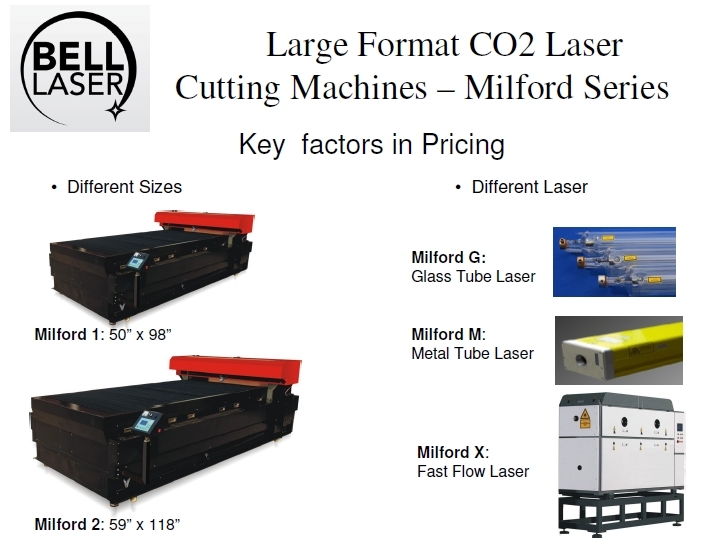 Typically, these laser machines are larger than the enclosed laser machines. 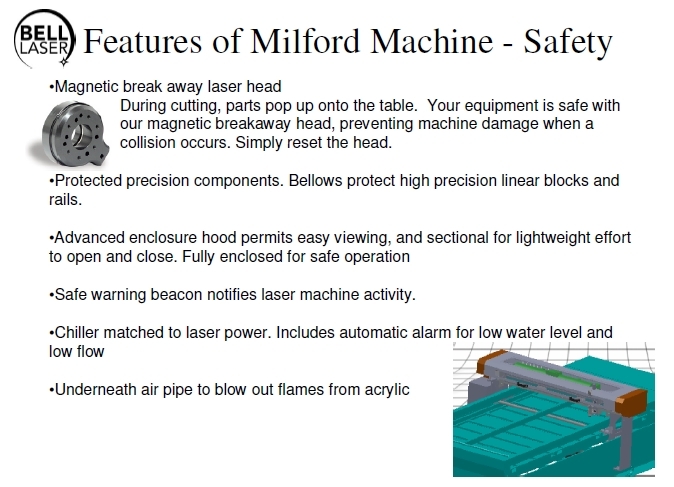 The control systems for the open table machines can be direct from software such as CorelDraw or AutoCAD, or true CNC software that is pre-processed into G-Code. G-Code is a traditional CNC language that provides an added low-level capability to control and manipulate how a laser cutting job is run. With these machines, the exhaust is downdraft, though some fumes may rise into the surrounding air. 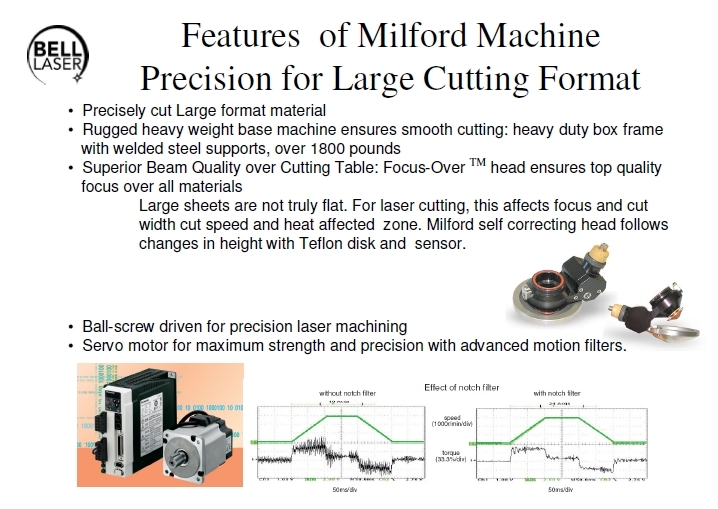 Typical buyers of these machines are looking for larger sheet loading, processing of larger parts, precision machining, and/or higher laser powers. 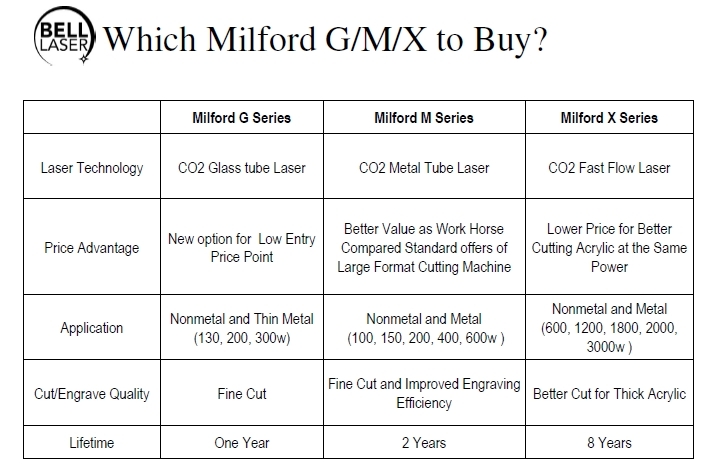 The all new glass tube 200, 300, 400, and 500 watt lasers are available now. 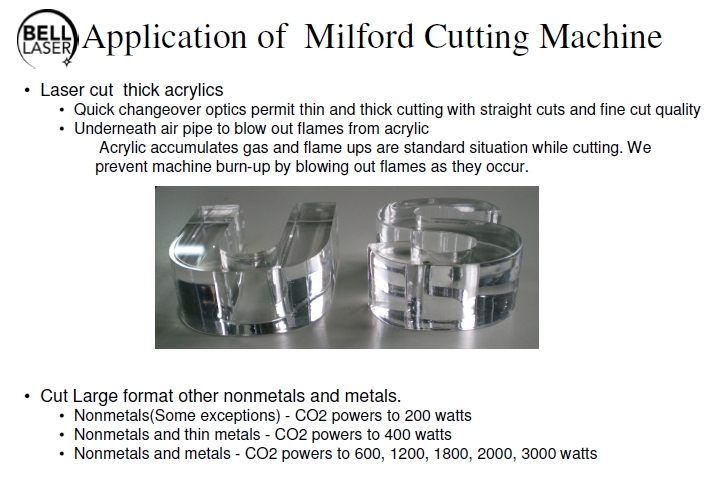 Do not miss this opportunity for low cost thin metals cutting. Do you remember when the glass tube lasers first became popular? The USA manufacturers said that they were no good--and now--by quantity, they dominate the market. 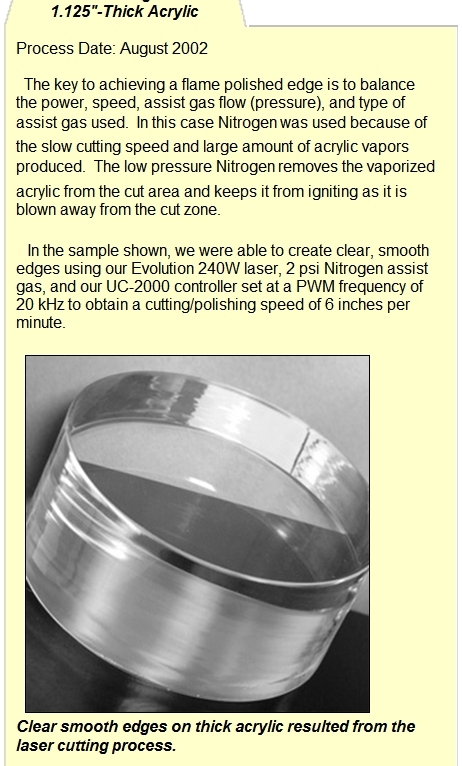 Our full-service in-house laser laboratory can laser process your samples to demonstrate laser capability. 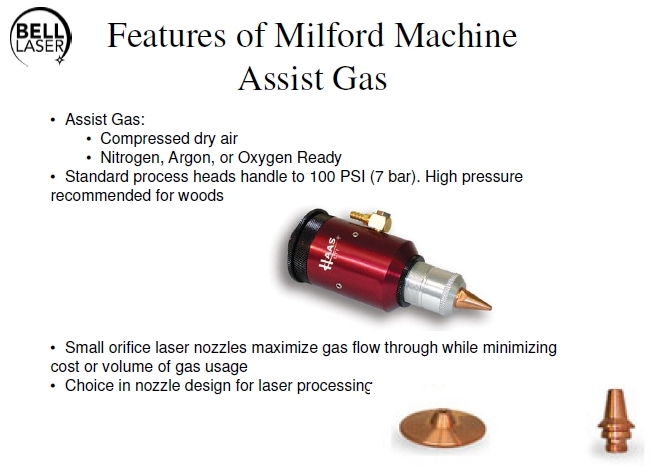 We also utilize outside laser laboratory facilities from our laser suppliers such as the Synrad laser laboratory sample shown above. In addition, we have a standard samples pack that can be purchased. The standard samples pack demonstrates laser engraving and laser cutting on a variety of materials. You can inspect at your location and evaluate for your needs. Bell Laser can provide your organization with an exhaust and filtration system fitted to your machine and usage. 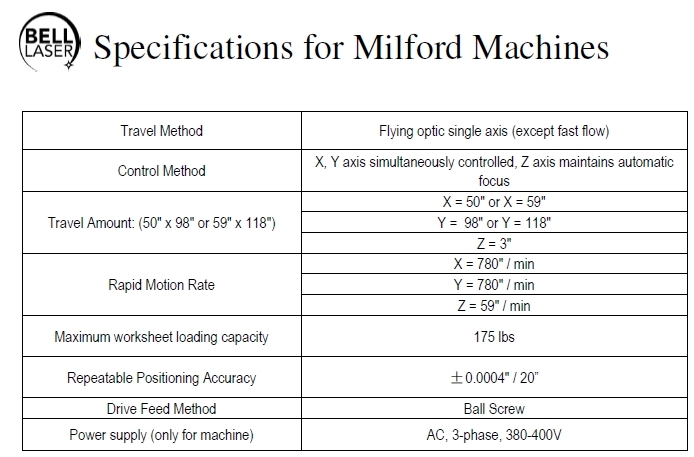 To size the system, we examine what material you are laser processing, the volume of that material within a specific time period, and the machine type.